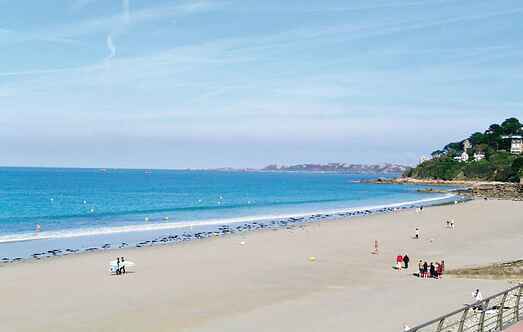 Find a vacation home to rent in Perros-Guirec from our list of vacation rental properties. 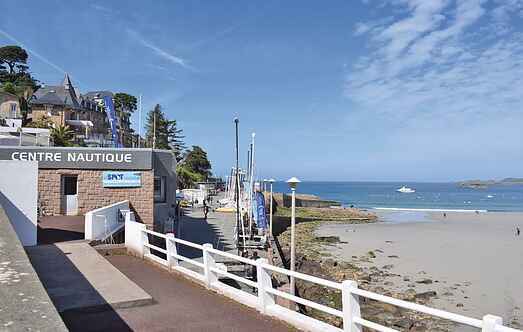 Campaya has over 11 vacation homes available in Perros-Guirec, which give you the possibility to locate a unique accommodation in Perros-Guirec which completes your check-list in search for the perfect self catering vacation apartments in Perros-Guirec or vacation villas in Perros-Guirec. Located in the center of Perros-Guirec, this pretty holiday apartment on the 1st floor will be perfect for a family holiday in Brittany. This is the optimal holiday spot for guests who appreciate the healing effects of seaside resorts and the sea air. This apartment on the 1st floor with an exceptional view of the bay is located not far from the beach in Trestignel and the centre of Perros-Guirrec. Situated in Perros-Guirec, on the Côte de Granit Rose and surrounded by a two hectare plot, is this rustic holiday home. This semi-detached house located on a closed plot is shared by the owners as well. The location is ideal to explore this beautiful region extensively. This beautiful house is close to the city center, on the heights of Perros Guirec, a large resort with Casino, thalassotherapy center and sailing school. With views straight out to sea, next to the beautiful fine sands of Trestringel, this is a bright and attractive apartment. This house on the Côte de Granit Rose enjoys an exceptional view of the Trestrignel beach. This resort is very popular for its wide beaches, thalassotherapy centres and its casinos. This contemporary house is located on a completely enclosed garden property on a quiet road. Fantastically situated close to the pink granite coast, this delightful three bedroom holiday home is well positioned for a relaxing holiday by the Brittany coastline.